If a grid down or a disaster scenario happens one day, probably there won’t be any power and electricity available. Automatically, that will take away many of the comforts that we’re used to, and that we’ve taken for granted. One of those will be the ability to wash our clothes with a washing machine and a dryer. It’s very important to maintain a good personal hygiene in a survival situation, so keeping your clothes clean is crucial as well. But, in a situation where there is no electricity, therefore there are no washing machines, you’ll have to do the work yourself. 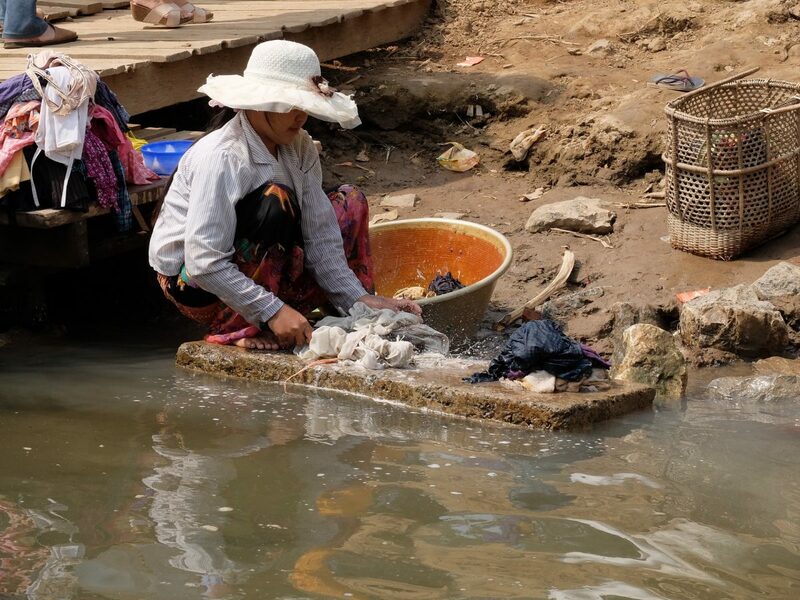 Luckily for you, washing clothes by hand is not as hard as you might think. The job can be easily done, as long as you have the ability to use your muscles and the right essentials. The most important thing you’ll need to wash your clothes is, of course, water. Possibly you won’t have water as well in a disaster situation, but you can always use the water provided by nature. 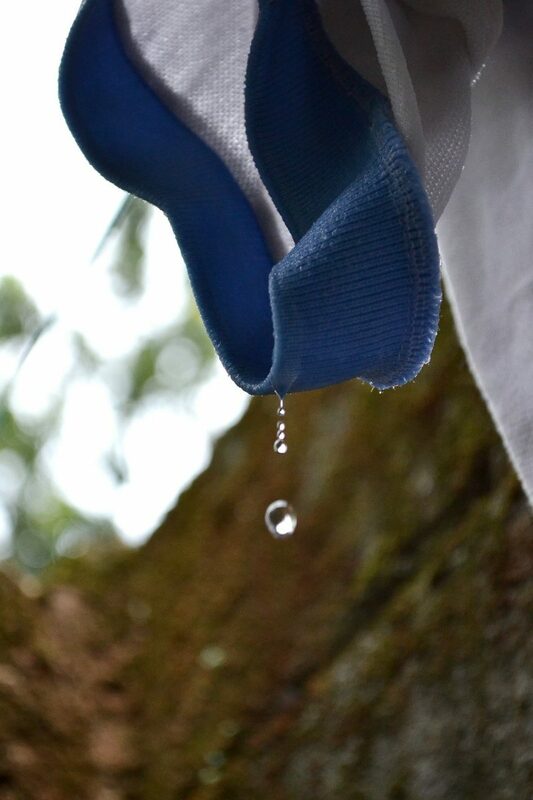 The best options are streams and rivers because they are running and will do a great job of rinsing your clothes. Make sure that the water you use comes from a clean source, and maybe consider boiling, purifying, or filtering it before use. Of course, you’ll need a bucket to wash your clothes in. 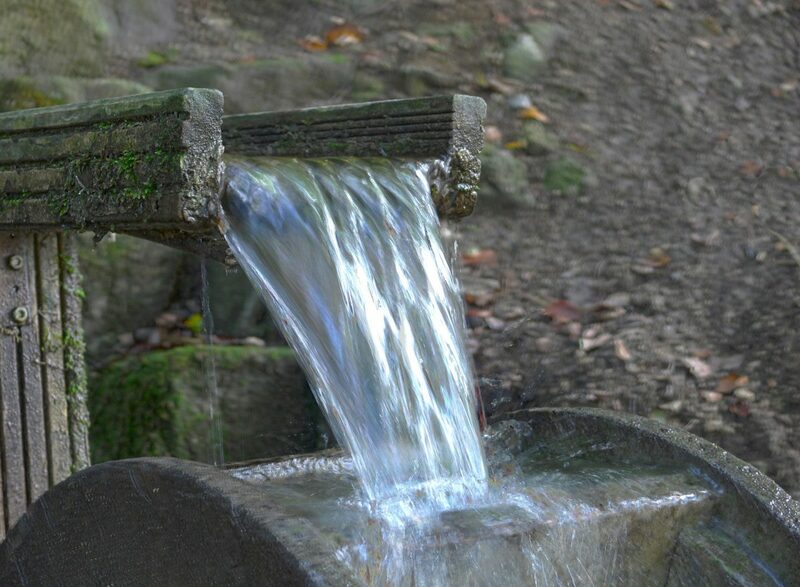 If you can’t find a bucket or a pail, you can aways wash the clothes in the source of the water, like rivers and streams. If you have an agitator, you can cut a hole through the center bottom of the bucket for a better wash.
Next, you’ll need something that will actually clean your clothes. Expectedly, you’ve stockpiled some detergent, but if not you’ll have to make you own. 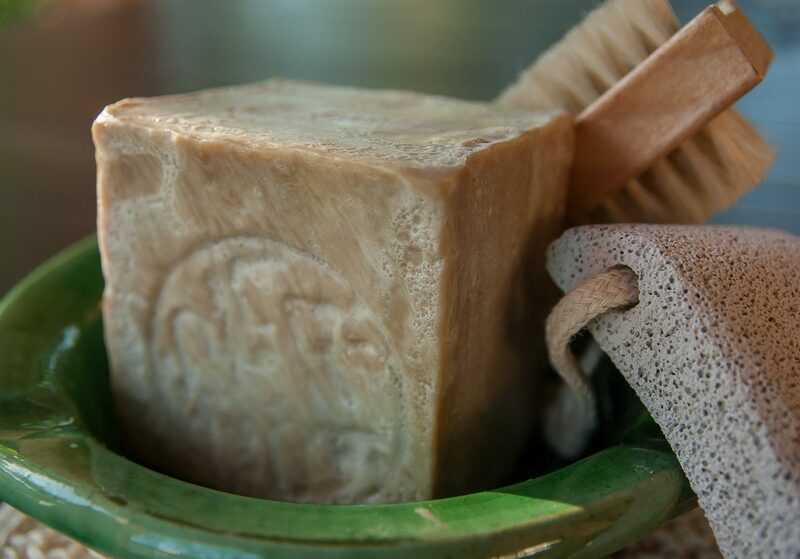 Homemade soap is a great replacement for a laundry detergent in this kind of situation. 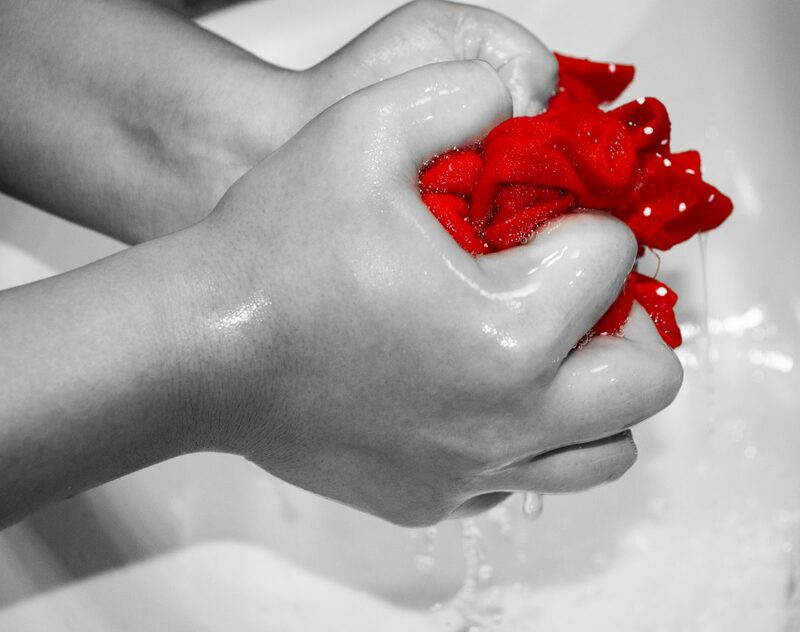 You have two options for scrubbing your clothes: an agitator or your hands. 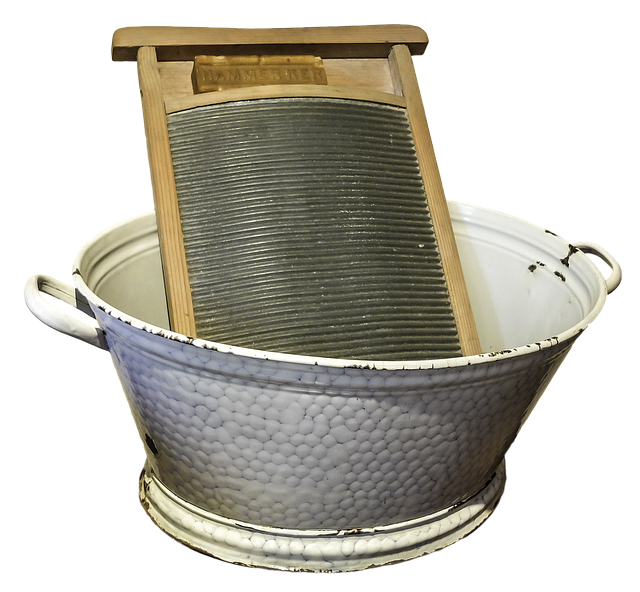 Scrubbing the clothes by hand works very well with a washboard, but it uses up a lot of energy, and it can be a tiring process. So, you’ll be pretty lucky if you have an agitator. It can fit through a hole in your bucket, and it spins the clothes around, almost like a washing machine. At the end of the washing process, you’ll need somewhere to hang up the clothes to dry. There are plenty of options for a clothesline, from wire to vine to a rope to paracord. Like washing clothes in a washing machine, you’ll also have to sort them before handwashing them. Make sure you separate the clothes by their color and by how dirty they are, rather than by their type. Never wash white clothes with colored ones, or relatively clean with extremely dirty ones. After deciding which clothes to wash first, you’ll need to soak them in warm water first. Grab the bucket with water from the natural source, and heat it over a fire. Don’t get the water to a boiling point, just make sure it gets warmed up. The warm water will loosen up the dirt in the clothes, and it will limit the needed scrubbing. Make sure you soak the clothes in the bucket for at least twenty minutes. After soaking your clothes, it’s time to scrub them. Put a minimum of half cup of the laundry detergent in the bucket, and start scrubbing the clothes by hand or with an agitator. If you use an agitator, make sure you swirl them for two minutes and make sure that the clothes rub the sides of the bucket. 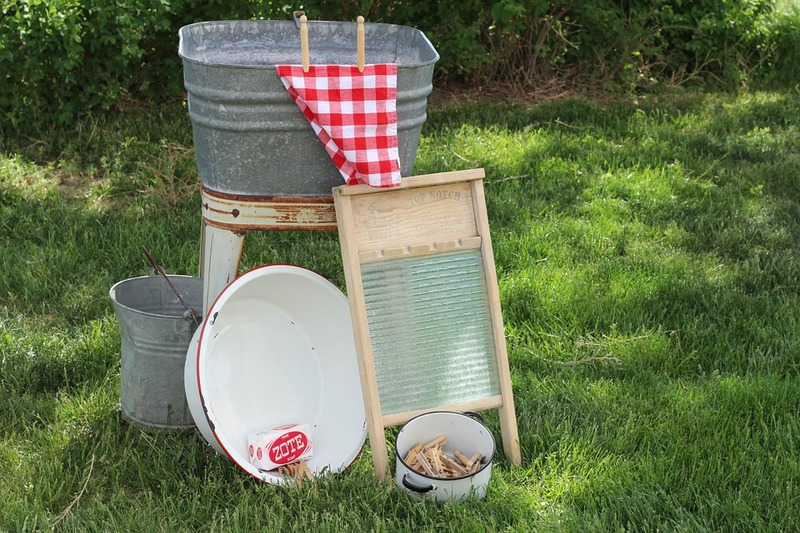 If you’re scrubbing them by hand, place your washboard leaned away from you, and scrub the clothes against the board. Stains or the dirt might not come off right away, in that case leave them to soak for few more minutes, and then try scrubbing again. After cleaning your clothes, it’s time to rinse them of the laundry detergent. That’s why it’s smart to have two buckets, one for washing and one for rinsing. 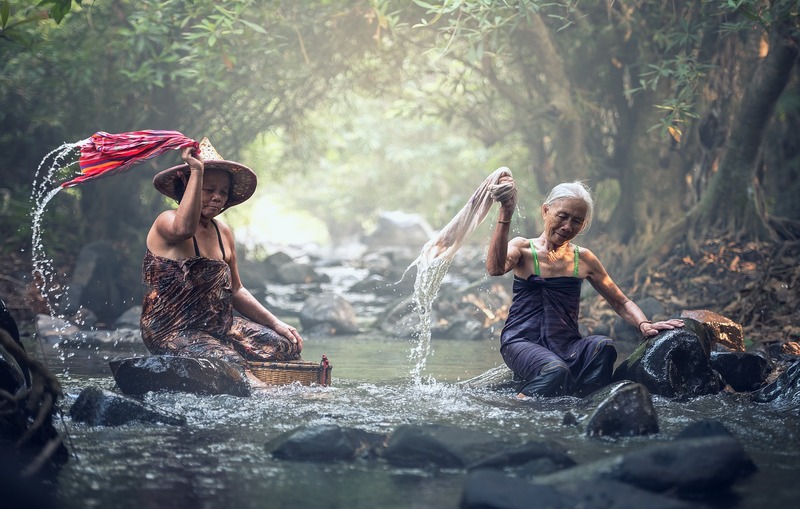 If you have only one bucket, set the clothes on the clothesline, empty, clean, and fill the bucket with clean water, and then put your clothes back to the clean bucket. The water in the rinsing bucket should be cold, rather than warm. Make sure you soak the clothes in the bucket for two minutes and then rinse them out. For an easier rinsing, you can add a cup of vinegar in the bucket. 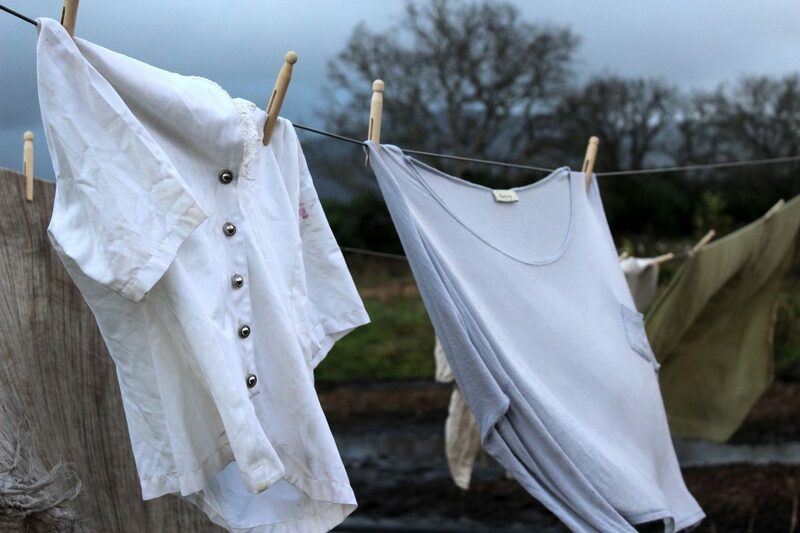 After you’ve washed the clothes, it’s time to hang them on the clothesline to let them dry. Handwashed clothes may have more wrinkles in comparison to the ones washed in the washing machine, but you can minimize this by snapping before hanging them on the clothesline. 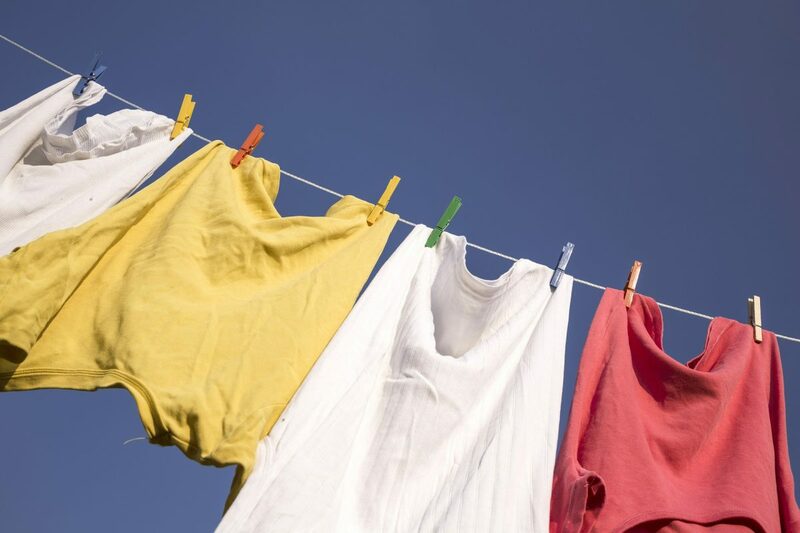 Make sure that the clothesline is tightly secured on both ends, so that doesn’t drop and get your clothes dirty again. You don’t want to go through the whole process all over again!